I purchased 2 iPhone's July of this year at the Homewood store in Illinois So before I purchased I told the best buy rep that sprint had the rental phone monthly agreement fee for $8.53. When we began the purchase I notice that best rental agreement contract fee was $16.67 told the ID:__NR-AM-66593734_____ Date:___3 -July -2017 and ID:__NR-AM-66593914_________ Date:_____3-July-2017. The best buy rep told me that sprint would change it and all I had to do was to call them. Yeah right…. I've been trying since August to this change the rental fee, this is the very reason why I warn people from purchasing phones from BESTBUY. I purchased a Samsung Note 5 approximately two years ago and it got wet in August and stopped working. I paid $150 to get a replacement and it did not last 4 months. The phone fell once and the whole screen got some blotchy ink looking spots which spread over the whole screen by the next day. My gut feeling with this replacement was that it was no good, but I kept it. What a mistake! They sent me a defective replacement, now they are telling me that I have to pay another $150 to get another replacement. All this when I haven't even finished paying for the first phone. What a crooked deal. I am so upset about this situation. Hello, My name is Milton Callahan I had a terrible experience visiting one of your locations on 11/24/17 at 2:30pm. Me and my mother entered the store located at 4925 Cal Sag Rd in Crestwood, IL, to purchase a new TV and Computer based on sale prices we seen online. 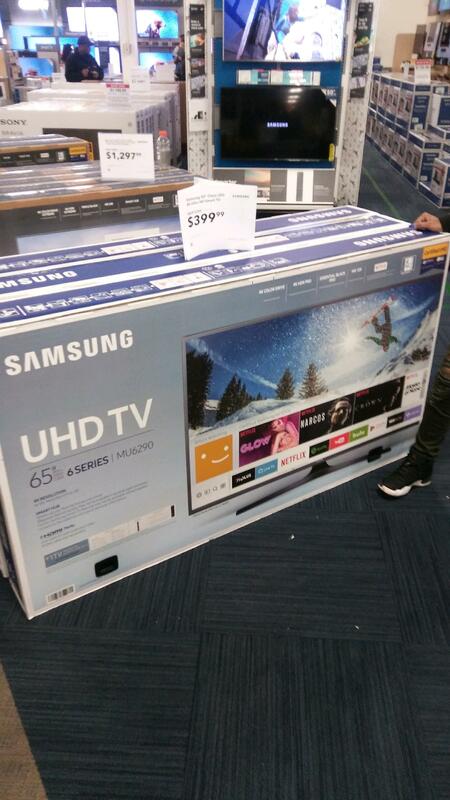 The first thing we noticed upon entering the store was a 65" inch Samsung TV for 399.00 near the entrance. The price was on top of a group of the TV's and a big crowd was standing near waiting on a price check. Me and my mother waited patiently with the other customers but no one came to assist any of us. At this time I asked a few of the customers how long they had been waiting. Many of them stated over 30 mins. My mother has a fracture toe and a visible orthopedic shoe and I was very shocked not one person came to ask the group if we needed help. After 12 minutes of waiting and my mother needing to move or sit down. I decide to request the price check myself and one of the younger store attendants came over. I explained the price of the item and told him many people wanted to know if that was the actual sales price of the product. He scanned the item and said the item was $849.99. At this time many customers became upset. Many of the customers including myself should not have had to wait so long to get a price check on an item that was priced so much higher than the listed sales price on top of the TV's. Many of us thought it would be a few hundred off the incorrect pricing seeing it was a sale but not 400.00 additional dollars on a black Friday sale and the entire staff allow us to linger around this product knowing it was incorrect. It was unacceptable and I requested to see a manger. I wanted him to verify the store clerks scan and see if the price was indeed correct that he had told me. The clerk took the 399.99 sales tag off the product and put it behind his back as the other store clerk notified the manager. It took about another 15 minutes to see him. Once the manger (Doug) arrived I explained the issues and requested he check the product himself to ensure the price was correct. He stated " The clerk already told you the price" I said Sir can you verify it because it's 400.00 more than the listed price he has behind his back on the tag. He stated " hey people move signs around all the time " I stated sir as a manger it's your responsibility to make sure pricing is correct and if it is not to verify it for the customer so can you please check the pricing for all of us because we have been waiting a very long time. His reply was " you better tone your voice down a notch" I said sir I am loud so you can hear me over these customer's and I am a customer you should not be talking to me about my tone. I need a price on this item and I am very upset at the treatment I am receiving today". He grab a phone with a picture on it with the price of the item from the store clerk and said this the price wanna by one" (laughing) I said sir this is not funny and I am really upset is this the sales price for black Friday or the regular price. He said " this is what it is wanna buy one" looking at the other clerk. smirking. I told him I would be contacting the complaint department about his behavior and also let him know that it was not proper management. Not one time did the crowd or myself receive an apology for the wait and confusion. These people was angry and this behavior could of cause a store riot as many people got very upset. Base on the crowd and there looks I walked away and told a few people to contact customer service. I believe had I continued to push the issue the store manger would of cause a big problem within this crowd. I did purchase another TV after walking through the store only to witness the store manger discussing the matter and laughing about it with other employee's . The manager Doug was very inappropriate and should not be engaging with customers on any level. I do not know if he is the store manager but I intend on calling the store but wanted to have this address on a higher level seeing I work in management an felt it was inappropriate for him to tell me to " I better tone it down" I felt like that was a threat and so did the other customers. Doug has a problem and is not the type of employee you want helping customers and definitely should not be in management. I think a hard look at your surveillance camera's will show this could of went really bad and with my mother having a bad foot I did not want the crowd to get out of control based on his behavior so I left the crowd without the answers I needed about the product. After going through the store I found many items without a black Friday sales prices including one of the Items I purchase. I also seen and heard the Manager (Doug) talking and laughing about the issue with other employees in the TV department. This employee needs some type of corrective action so he can take his job duties seriously. I would like to hear a response in this matter as I feel the BBB should be aware of this but I like Bestbuy an based on this I wanted to notify the company about this first. Please feel free to contact me via phone or email regarding this matter my direct contact is 708-477-7437 my email is marksmenp@hotmail.com thank you for your time on this matter. I hope the company can resolve this behavior and also give me answers to the 65" UHD TV 6 series Mu6290 listed at your store for 399.99. I believe the price on black Friday was 749.00 but the store should honor listed pricing on black Friday but I was just trying to get the TV at the actual sales price. We purchased a 55" me and my mom that is on delivery but we would have love to have received what we wanted. Thank you for your time in this matter. My son purchased a Black Friday deal "online" that was guaranteed to be "in stock" at his local Best Buy store in Bowie, MD. He arrived at the store on Black Friday morning and was told that "they couldn't find the phone that had been guaranteed to be in stock that morning". He told them that he needed the phone "unlocked" so he could take it to his "own" carrier. 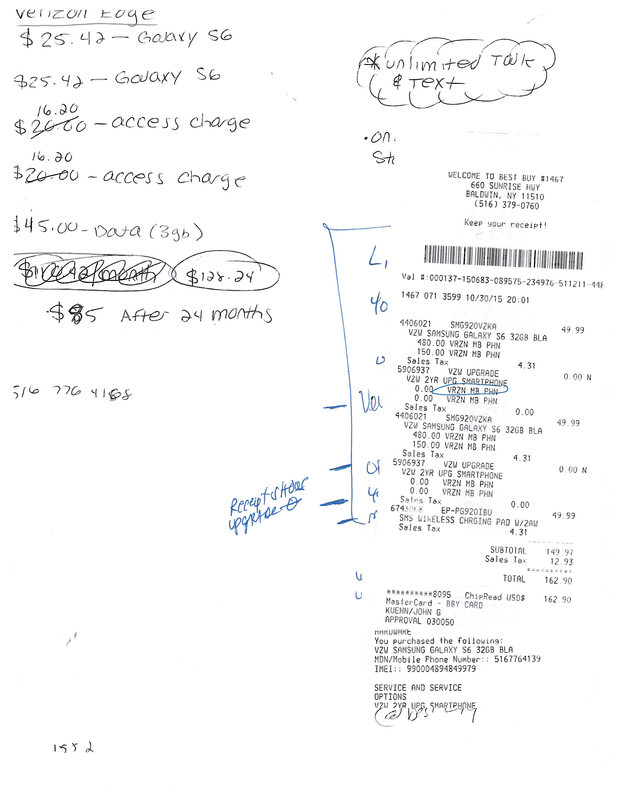 He paid an extra $200 for an upgraded phone that they DID have in stock, and after they processed his money, he found that the phone was NOT unlocked, and was dedicated to a carrier that he did not want. They said, "oh, we're sorry". He asked for his money back, and they said it would take 48 hours for him to get his money back. 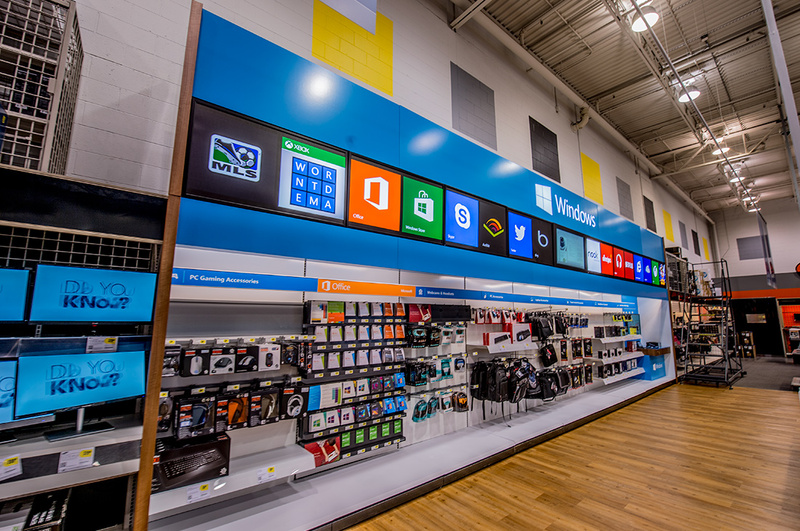 I am DONE with Best Buy for good, and I intend to tell all of my family and friends of his experience and of my own lousy experiences with their stores in the past year. Their customer service has gone into the toilet. I personally have walked out of Best Buy twice in the past year when one of their employees attempted to "switch" me from a product I had gone in to purchase to one that was "better and more expensive". Both times I went in for an advertised product that "wasn't in stock" even though the application online said it WAS in stock in that particular store. I believe that is called BAIT and SWITCH. I thought that was illegal. Your Customer service is the worst that I have ever seen. I have spent couple of evenings trying to ask for help from Best Buy technical support. I have spent several hours at a time to only be switched from person to person then to finally be disconnected. This has happened at least 6 times! I have even tried at the store level, store manager and best buy direct and still can't get any assistance. I was told on one call they were aware of the problem due to others having the same issue. 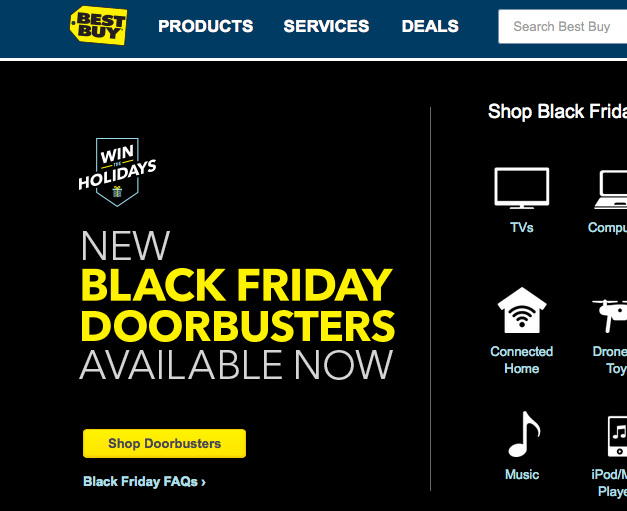 I can not log in on bestbuy,com. I am not able to login to my account. It will not allow me to reset anything due to the fact I can't get an e-mail or text with verification code but yet I receive your daily specials, promos ect. I went around the system to place an on-line order last night but I can't even get a confirmation of my order by e-mail. This is unacceptable!! I'm supposedly an Elite member but to get this level of service is not acceptable. Your people call themselves "Specialist" but yet they are unwilling to help. I'm on the phone now, I explained my situation "AGAIN", only to be transferred to someone else. Been on hold going on 40 minutes so I'm sure it's just a matter of time, I will once again get disconnected. I get your "Specialist" is someone sitting in a cubical somewhere but surely they are trained on how to satisfy a Customer. I'm sure I won't get any response with the complaint so the bottom line is I'm done with Best Buy and as much as I hate Wal-Mart, I will take my business there. 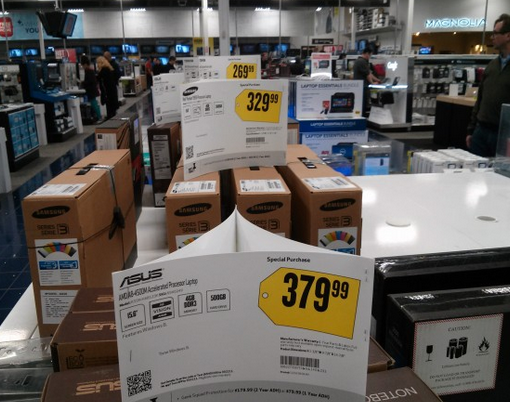 Next time, I hear Best Buy sales aren't where they should be, I will know why. I wish you the best because with the Customer Service you provide, I don't see Best Buy remaining in business. The last time I check if you don't have Customer Service, you don't have business! IF a Manager (that can help) would like to call me to discuss then you have my contact information on file. I purchased an Arris router, SURFboard SBG6900-AC from Best Buy. I think it might have been around April 2016. We have had on going issues since then. I didn't suspect the router because it was brand new and came highly recommended by the Best Buy sales person. I have had Comcast/Xfintiy out here twice and Dish out here twice to review my system problems which consisted of frequent short outages interfering with our TV and our Pandora music station and internet connections. This week, I called Comcast back and a knowledgeable technician went through our entire system, upgraded it and rebuilt our Dish outside LMB. We still had issues and the technician suggested that our router may be the culprit but he couldn't touch it himself. I went to Comcast and rented their router, installed it and - guess what - our problems were solved. Everything works now. I realize it has been a while since I purchased your router but I'm unhappy that it was actually the cause of my year long problems. I don't know Best Buy's limits but I certainly believe Best Buy should give me a full or partial rebate on this dysfunctional router. We are excellent Best Buy customers as you can verify and have supported you over many years. This is the first product we've purchased that turned out to be bad. I would like a response ASAP. Thank you. and printing paper. Once, at the counter I needed to pay my monthly payment, alone with some ink and printing paper for my computer. There was a new guy there that didn't have a clue on how to ring me up. A employee name Kathy ask for my ID and I said not to make my monthly payment you don't. If I was buying something on my card then you would need my ID. She got real nasty with me and said that's the store policy and I can't change that. I can close MY ACCOUNT that's for sure. I suggest that you give her more training or fire her, she is bad news for this company. On August 5, 2017, my husband and I purchased an LG refrigerator from the Bridgewater, NJ store. We also purchased the insurance policy on the product at a cost of $299.99. On November 8, 2017, the fridge stopped working. My husband called the Geek Squad to make a time and date for repairs. He was informed that the first available time and date was November 16, 2017. EIGHT DAYS!! without a refrigerator--UNACCEPTABLE! We could get a local repairman in one day. However, we already paid $299.99 to Best Buys because they bragged about how excellent their insurance was when needed to make repairs quickly. We will NOT be fooled again by promises and insurance policies made by Best Buys! We will inform all our friends and relatives about the time response for repairs needed on Best Buy merchandise. Your insurance is as rotten as a hot fridge"s food! I went into a Best Buy store in and told the Agent that I wanted to renew my Tech Support membership. The agent pulled up my account and stated that they tried to automatically renew it on the due date but my credit card was declined. I was going to pay cash to have it renewed and he told me that I were not permitted to renew the membership with cash. It had to be by credit card or debit card only. I asked the agent why did they attempt to automatically renew my Tech Support membership without my knowledge, permission or consent. He said he didn't know. That was the way Best Buy was doing it. My complaint is why did Best Buy attempt to automatically renew my membership without my knowledge or consent? Performing a financial transaction without a person's knowledge or written consent if illegal. I'M BEING FORCED into a renewal whether I want it or not. Best Buy does not have the legal right to make financial decisions for me! I remember several years ago Best Buy was losing customers because they were being pressured by the employees to purchase an extended warranty. That practice forced consumers to go elsewhere. If Tech Support is to be an automatic renewal, the customers need to be made aware of this at the time of purchase or notified through the postal system (not email) or phone call and given the opportunity to decide whether they want to renew or not. This practice of automatically renewing Tech Support membership without the consumer's consent needs to be stopped immediately. YOU SHOULD NOT ASSUME that the consumer wants to renew their membership and make this financial decision for them in order to increase your profit. On Saturday 28 Oct 2017 I purchased a new TV at the North Have, CT store. There was no problem with the sales person assisting me in getting the product which I wanted. Then today 30 Oct 2017 my wife happened to check our bank account a discovered that an additional $53.00 (fifty-three) dollars had been debited to our account by Best Buy. After some length of time and multiple phone calls and transfers she was finally connected with a representative who told her that a virus protection plan from three years ago was reactivated for the new TV. As I was never informed that this might occur and I never gave any consent for this transaction to occur I consider it a case of theft and bank fraud. My wife was informed that a refund would be made in 7 to 10 days. I have contacted the state attorney's office for North Haven, CT and if the money is not refunded as promised I will be filing a criminal police report with the North Haven Police Dept and push for criminal prosecution. Any company that feels they can take a customers money without prior approval or contract cannot be trusted and I intend to no longer do business with this company and will by all means warn my friends and family of these underhanded and possibly criminal activities of Best Buy. I cannot click off the one star. I wouldn't even rate you at all. I am absolutely po'd about my Roku purchase I made. I brought the Roku device back after having trouble with with them. I had to cancel my debit card because of it. Security reasons. I wanted to get my money back for the device with receipt in hand and was refused cash back! I have my receipt, my card is cancelled, so I can't have the money returned that way. The only way is get cash back. The manager refused to do that, stating the system will not allow him to give me cash. How can you be a retailer and have a system in place where money cannot be refunded? That makes no sense. The manager was glad to give me a gift card. Are you serious? You won't refund my money for an item and you think I'm going to spend more money there. Not only did I refuse that option, I was offended. This is not the way you do business, since this isn't a two way business arrangement you have setup. Great products and staff. Tried to renew Webroot and customer service 27 days prior to their ending. Went to store in Elyria, Ohio. Best Buy policy, will not accept check or cash.. 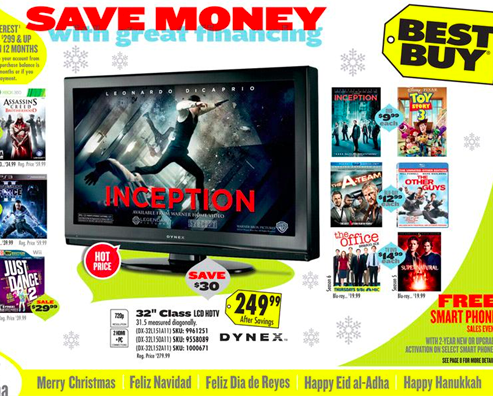 I hear that Best Buy is in financial trouble. Could this be part of the reason --- DUH !!! You've lost this customer. I wonder how many more? your credit card department is not very good first opened an account did not recieve card or statement to pay my bill tried to get help talked to three different people at city bank all did not speak very good english if your service is over seas I will not use your service anymore I hope they got this straight but? Hello I purchased a refurbished Samsung 55" tv with cuts and bruises in it model # un55ku6500fxza on oct 18 2016 I was told to get insurance of the tv if it was to give me problems . The tv doesn't cut on and I bought it refurbished and it was working fine had I know the disadvantages of buying a refurbished tv I wouldn't . I had the geek squared which covers my protection come out to tell me there is nothing they can do about this . Iam very disappointed and was mislead about this tv warranty . I am writing before I make this a small claims situation . I went into the Planation store to buy a cell phone. I asked the clerk if he could set the phone up. He said the company cell phone company would ask him questions, then he would have to ask me the same questions. He would not set the phone up. I did not buy the phone. However I would like to recommend 2 clerks at the Coral Springs store, who went out of their way to help me with a cell phone I had previously bought there. They tried everything to help to get my phone to work, especially the young lady. She gave me a refund without any trouble. This was on 8/30/17. If it was not for these two clerks. I do not know if I would purchase additional items at BestBuy, as I have numerous items there. 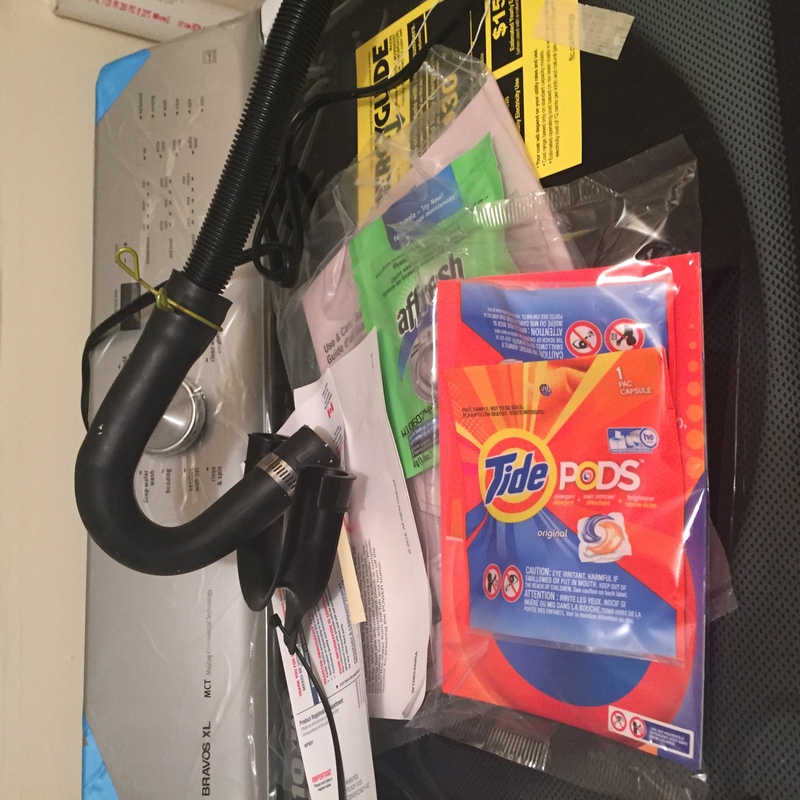 Starting in July 2017 I ordered a Whirlpool microwave oven from Best Buy online. When the oven arrived at my home, it was defective. I drove 30 minutes to the nearest Best Buy store. I returned the microwave and ordered another. To make a long story short, I received a total of five microwave ovens before I finally got one that worked. I returned four microwaves to the same store and obtained receipts. The purchase were put on my Best Buy credit card which is handled by Citi Bank. I looked at my Citi Bank statement and have been charged for two of the returned microwaves. I have contacted both Best Buy and Citi Bank and explained the problem. Best Buy insists that this is a Citi Bank problem and of course Citi Bank states otherwise. Here it is the 1sr of September and the 2 microwaves are still on my bill. I will never buy another thing from Best Buy. I will pay off my Citi Bank Best Buy card and will never deal with either company again. I went into Best Buy in Mays Landing NJ last night to purchase a cell phone. the female sales associate who helped me with the phone was fine...although there were two other female sales associates who, when I asked if they could activate my new phone and transfer my information, told me that they didn't do that and acted as if I were crazy. I proceeded to tell them that just the night before, I had a friend who had also come into the store to purchase a phone and they were treated completely different....their phone was activated for them and all their info had been transferred over as well. I won't even get into the amount of trouble I had trying to get this activated. If there is some new rule at Best Buy, and employees are not allowed to do this anymore. please inform me...very odd...especially since I know someone who just had it done the night prior. Also, I had a very strange experience when I asked someone how the virtual reality headset for Samsung works...the female associate was on her cell phone the entire time and acted as if it were such a bother to explain things, then walked away while I was in mid-sentence asking a question. Needless to say, Best Buy lost a sale, and I wouldn't be surprised if many sales were lost. Everyone who I dealt with looked as if they were about 10 years old. It's a real shame....I know darn good employees who do work at this location and it's just a shame for the good ones. Best Buy needs to really look at their floor help in mobile. They need some sort of training in basic common courtesy, although, that really can't be taught. You may also contact the CEO, Hubert Joly at the corporate office address, 7601 Penn Ave. S, Minneapolis, Minnesota 55423. Corporate office phone number is 877-415-3487. Was assaulted tonight by store manager. Would like to speak to Hubert Joly. Will also be consulting legal advise for liability. Does anyone care about their customers? I am a new Geek Squad customer, having purchased a year's subscription of tech support on 10/29/16. I had an appointment for service, and despite that, waited 20 minutes before someone acknowledged that I was waiting. One technician was helping another customer and it was only after 20 minutes that he asked me if I was being helped, as he assumed someone was already helping me. The reason I went in for technical assistance/support is because I purchased a Lenovo laptop just 13 months ago at the same location, and was having issues with signing in with my admin password. I contacted Microsoft as well as Lenovo regarding this, however they were not able to assist/remedy. I searched online for information on how I might handle this myself but was also unable to remedy the problem. As it turned out, the reason I was unable to sign in is because the number keys were non-functional, and my password contained numeric as well as alpha digits. When I searched for information on how I might remedy this myself, one of the first things all the online tips suggested was to make sure that the numbers pad is not locked. On newer laptops such as mine there is no numbers keypad but rather the numbers run across the top above the letters. I purchased the Geek Squad support and it was only after two days that one of the technicians called me to tell me that the reason I was having a problem signing it is because the number keys were nonfunctional. My question is, why wasn't a diagnostic test run to determine the functionality of the keys before my entire system was wiped out in an effort to bypass the password? When I had received a voicemail from the servicing technician asking me for some more information before she was able to go further, I returned her call. After pressing the prompts to direct me to Geek Squad, I waited on hold for almost minutes, but no one answered, though I called during business hours. The phone just kept ringing and ringing and ringing. Attached herewith is a snapshot of my phone screen showing the amount of time I waited before hanging up. I called back again and it was the same, but then an outside rep answered the called and asked me which store I was calling. He then connected me and I waited again for several minutes but no one answered. I called one more time and if I had not been connected with someone, I would have gone back to the store in person to cancel the service altogether as I was entirely frustrated. On the third call attempt, someone finally answered and placed me on hold for another few minutes before obtaining the information the servicing tech needed. Needless to say, I'm unimpressed with the whole thing, as I would have used the $200 I paid for service and put it toward the purchase of a new laptop rather than be stuck with a still non-functioning unit, and a service plan with lousy customer support and that only covers software issues. I want to cancel the service plan altogether. Between the issues I experienced (as a new customer) coupled with having a laptop that is no better than when I brought it in, I am very dissatisfied. Diagnostics should have been run to determine if a hardware issue (non-functioning number keys) before the system was wiped out, because now I'm left with a shell of a laptop and it's useless to me without the number keys, the letter P, and backspace keys - all non-functional. If it is standard to check to be sure that numeric keys are not locked regarding password sign-in issues, why wasn't this checked first? The only compliment I can give is to an in-store tech agent named Jaylen who was courteous and apologetic. There should be an option to give 0 stars based on my experience with Best Buy. We placed on online order with them but cancelled it and received acknowledgement of the cancellation. Best Buy ships the order anyway so now we need return labels to send the product back. We've been trying, through their customer service number, to get return labels emailed to us for the past two weeks. Every rep we speak to gives us a new excuse as to why we have not received the labels despite giving them 3 different email addresses. The latest from this morning is calling Best Buy and spoke to a rep who could barely speak English and she informs me that perhaps the reason we didn't get the labels is that the product we received isn't eligible to be returned via return label. Go figure. Got cut off from her and when I called back, the next rep I spoke to decided that she could not speak to me, she had to speak with my boss since his name is on the account. Didn't have a problem speaking on his behalf to the other rep I spoke to not 5 minutes prior. Extremely frustrating and time consuming and would not do business with them again. Best Buy didn't put the Apartment number on the package so I spent a day waiting for the damn thing and it didn't come because some one didn't do there job. This will be may last order with this company. 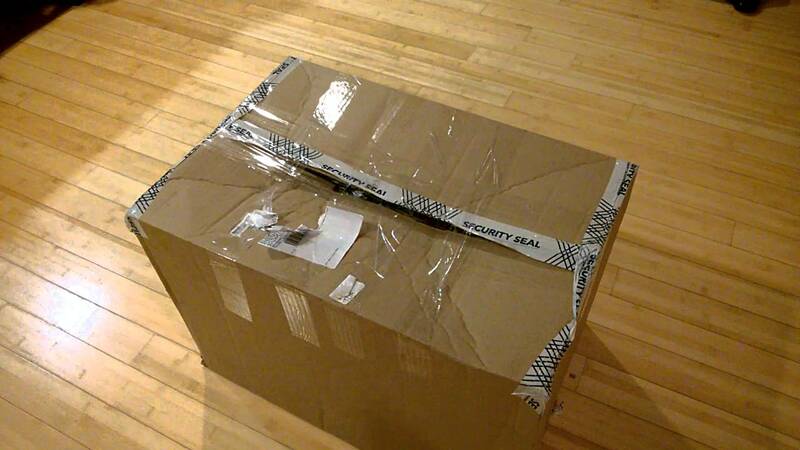 I even had to fix the problem after UPS sent me a text saying they couldn't deliver the package. So don't do anything now because I did customer service and the job of Best Buy and took care of getting the apartment number on the package. If I could have given you 0 stars I would have. My brother an I co-own an house in South Philadelphia. 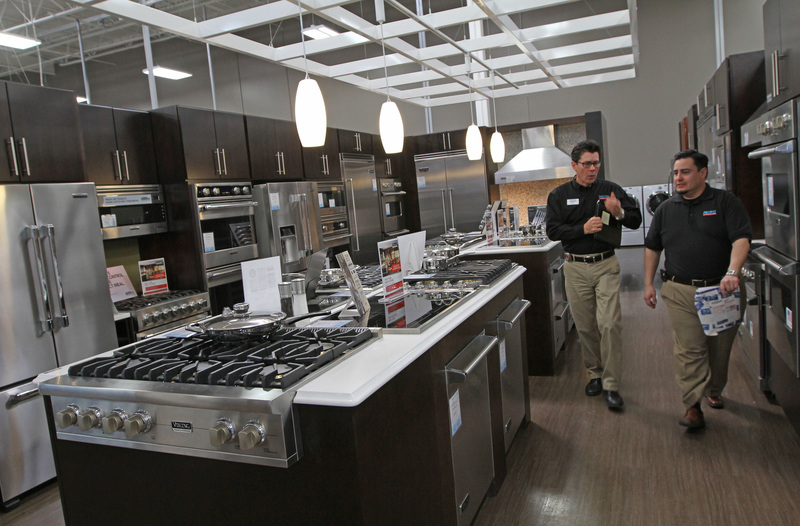 We are getting ready to sell and are replacing the kitchen appliances. My brother lives in Florida and went to Best Buy there to buy the appliances. Last week we were supposed to have a Refrigerator delivered to the house in South Philly on Friday, October 21 between 12PM and 4PM. My brother received a phone call saying they couldn't deliver it and would have to deliver it on Saturday October 22nd. They said it would be delivered by Noon. Friday evening he received a phone call saying they were delivering it at 8PM on Friday, this is after he and Best Buy agreed on Saturday. He told them no, they would have to deliver it on Saturday. They called Saturday and said it would be there between 12 and 4PM (don't know what happened to the "By Noon" agreement). They finally called, after 4PM and said they were on their way. When making the arrangements my brother told Best Buy that the Refrigerator would not fit though the front door and they would have to take it up the alley and deliver it in the Back. A lot people in South Philadelphia have to get deliveries that way since the doors on the front of the houses tend to be so narrow. When I told the delivery guys they were not happy, even though the alley was very clean, more than wide enough and free of debris. In order to get it into the Kitchen it would have to be lifted over a counter. The counter is a little less than waist high. They said they wouldn't do that and we would have to . The one delivery man was very arrogant about it. He kept giving us an argument about the delivery. My contractor and my two sons were present and said they would lift the refrigerator over the counter. We just needed the doors of the appliance removed. The deliverymen left the refrigerator in the alley and went back to their truck. Since it appeared that was as far as they were going to take the Refrigerator, my contractor started to remove the doors himself. When they came back, the "arrogant" deliveryman demanded to know who the owner was. I told him I was co-owner of the house but he kept saying I wasn't the one listed on the work order. I told him that was my brother and he lived in Florida. He then insisted that someone sign the work order saying that because we (the contractor) took the doors off, the work order had to be signed immediately. I told him I wasn't signing it until they removed the "Old" refrigerator, as stated on the work order. He kept arguing with me about it and even threatened to take the new refrigerator back. Then he started arguing with the contractor saying that he was going to take the doors off, that they just had to go to the truck to get the paperwork. My question is, why did both of them have to go to the truck to get the paperwork? Why couldn't one stay behind and start removing the doors instead of just dropping it in the alley? They couldn't at least take it to the back door? Did it take two people to "Lift" the clipboard containing the paperwork? He kept arguing with me about signing the work order and I kept telling him I'd sign it when he removed the old refrigerator. I need a washer/dryer and Refrigerator and was thinking about going to Best Buy, but not now. I'll go to Lowes or Home Depot. Not because of your products but because of your deliverymen, one in particular, and the total mix-up of when the appliance was going to be delivered. Also, when my brother called Best Buy on Saturday to make sure the refrigerator was being delivered, the Best Buy person he was talking to called the Dispatch and the person said "It's not on the truck" and hung up on her. They were even rude to your own people. Normally I let things like this go but the attitude and arrogance of the one delivery man was unprofessional. All he had to do was take the Refrigerator to the back door, take off the doors and my sons and the contractor would get it into the kitchen, then put the doors back on. They would of been done instead of standing there arguing with us. I believe they didn't want to take the old refrigerator because they would have had to take the doors off in order to get it through the "Front" door. (Yes, that one fit through the front door, it did not have to be lifted over the counter.) My experience doesn't even rate one whole star! When delivering a Samsung refrigerator in June of 2016, one or two of the delivery personal stole money out of our house. We filed a police report and contacted a detective to investigate. A Steven Waligoski with the Executive Resolution Specialist department, was not very helpful in the investigation. In fact, if you interfere in an investigation, that is a crime. He gave the detective leads that led to a dead ends. I guess to get his position, you need low qualifications. The detective was extremely frustrated with Steven and said to me, you should sue Best Buy. This employee is a subcontractor with Best Buy but it seems that they are content to continue to employ a criminal. I asked the detective if a lie detector test could be administered. She said yes if I can get them to my precinct. Best Buy had no interest in doing that. In the last two years, my wife and I have spent approximately $5000 with your company. In the years that we have been repeat customers, we have spent approximately $7000. Steven told the detective that I was lying about this. That made me angry. If spending that kind of money with your company, why would I try to beat Best Buy out of $170. Go figure. To any customers that are getting anything delivered to your home, beware. Bought an Epson printer for my son for college. He left for school two weeks later . Set up new printer at school and it didn't work (defective). Best buy said after 14 days they were no longer responsible for product even though it had never been used. This is the fourth consecutive time I have had a bad experience at the store. They are very uninformed about their products, very inexperienced and clueless about their jobs and don't support their products worth a crap. I am a best buy cardholder, but it will never be used again! Totally worthless entity. I have experienced the worst customer service I have encountered with any company in my dealings with your Plymouth Meeting, PA. store. I have been a loyal customer of Best Buy for a number of years. In the past 12 or so months I have spent approximately $5,000 at this store. I ordered a Dishwasher over the Labor Day Holiday taking advantage of what appeared to be a nice sales promotion. I ordered a Kitchen Aid appliance and was promised delivery and free installation in one week. I received a phone call about a week later saying that my appliance would be delivered the next day between 8am and noon. The next day came and went-- no delivery—no phone call. I went to the store to see what had happened and was told they were unable to give me an answer. They said they could reschedule and the next available date was one week away. I asked why it seemed like I was being put to the end of the line when I already had one promised date and was told that is the way it works. The next date came—Sept 19. The installer showed up and looked at the old dishwasher and told my wife he could remove it but could not install the new one –something about it being ½ inch too high?? There was a bit of a language issue and my wife did not clearly understand what he was trying to convey. Unfortunately I was out of town and did not hear this conversation. I did measure the space and can see no reason why the new dishwasher would not fit. I am certain a professional installer could have solved whatever issue existed. The store Manager spoke with my wife and assured her that he would work to either resolve the problem with the dishwasher or find a comparable model for her. He promised a return call no later than the next day. I think you know what is coming—no call. My wife tried to call the Manger several times but heard nothing. Long story short we have canceled the order. What was a good deal turned out to be not so. 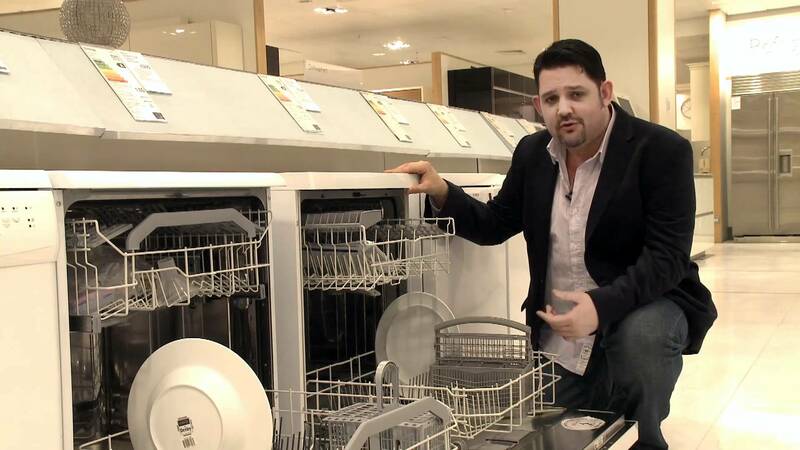 I will shop for a dishwasher from a competitor. I am aware that losing one customer is of little concern to you but rest assured that I will warn friends and neighbors of the horrible customer service that can be expected from Best Buy. If you should happen to care at all the order was placed on my wife’s Best Buy Credit card on Sept. 4, 2016. I bought a washing machine on August 20th at the Westbury NY location Order number 1116233273254. The delivery was made on Tuesday Aug 23 however they didn't complete the install and I was provided a hose which was kinked. I called the store spoke with 2 people one of them the Manager named Paul, they claimed to put the issue on an email to customer service. I got a call and schedule an appointment for Monday 29th at 4pm to finish the install. On Monday August 29th I got a call at 9am stating they will be there in an hour. I was at work and clearly I asked for after 4pm install, the person said they will reschedule. I never got a reschedule back. I visited 5 times the store called numerous time and no resolution has been given to me. I tried the machine this weekend and there is a delay on the on button. I am completely frustrated, way past disappointed on terrible their customer service is. At this time I am requesting a new machine to be delivered. Attached please see the deplorable way my install was left by technical service. I got hung ups after calling Best Buy customer service. I called with two issues. Not realizing that I would encounter another phone robot. Nothing like having your "problem" reduced to someone else's criteria. So finally figured out how to summon a human and was able to make a payment. But no one to deal with the fact that the website is not user friendly or guide me through how it should be used to make a payment. The second issue I called about was the fact there were 4 items in my checkout box that I did not put there and did not want. All I wanted to do was to have someone kindly remove them from my account. After being transferred twice..and having to deal again with a robot, I finally hung up in total aggregation and exasperation. Best Buys Customer Service needs an overhaul from top to bottom. Just a note to let you know why I am no longer a best buy customer. About 4 years ago I opened an account and bought a couple of thousand dollars’ worth of merchandise. A week later there was a charge of about $750.00 that was not mine on my statement. I called and that was taken care of quickly. On 8/8/16 I went into best buy, my account was at (0 balance) and bought a 28 dollar battery, the next day I bought a printer for 98.86. 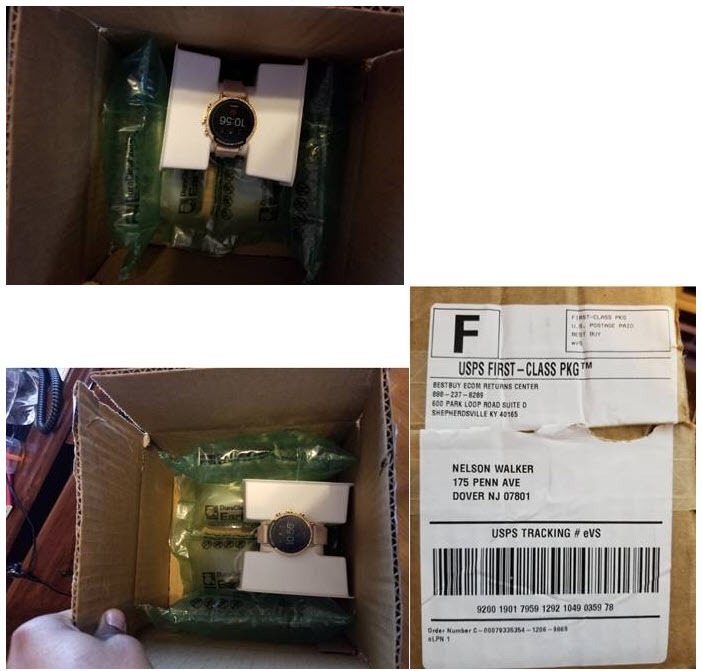 I checked my email and found an order received, order #BBY01-788164062371 for an apple watch being shipped ($411.03). I called and Best Buy customer service said everything was ok. Next day got an email, order received for an apple 9.7 inch iPad ($987.65). Not mine and shipped to the same address. I live in Clovis Ca. After more than a few phone calls I was told everything would be good. They canceled my card and sent me a new one and assured me that the new card would have the correct amount billed. Good luck with that. Got my new card and a few days later my new statement saying I owed $509.89. More phone calls with very little understanding on your peoples end. I told them to cancel my card they told me I had to sit and listen to them read some kind of policy. I told them to let me talk to a supervisor. The supervisor came on and said the policy was that if I canceled my card I would have to re-apply and get a credit check for a new one. My credit is over 800. After wasting many hours of my time and effort to help best buy deal with this fraud and then needing to cancel my card because your people could not deal with it, I get punished because of your people’s incompetence. So I solved the problem myself, don’t shop at Best buy any more. I can get the same merchandize for less money and a lot less head aches. I am a long-term customer of Best Buy, having purchased 3 computers, 3 TVs, 2 entertainment systems, a Bose system, etc over the years. Overall, I have been very happy with my experiences at Best Buy especially the customer service. So, when I needed to add 2 phones to my existing Verizon Wireless account, I decided to shop at Best Buy (Seekonk, MA) on 08/15/16 and was pleased to learn from Monica (rep) that there was a promotional BOGO on the IPhone 6s....perfect. I was unable to finalize the purchase at that time and asked if the promo would still be available on 08/19/16 when I had more time to devote to the purchase. Monica (rep) checked the flyer and was unable to determine the expiration date. She called her manager (Dylan) and then reassured me that it would still be available on 08/19/16. As planned, I purchased the phones on 08/19/16 and once again was reassured by Josh (rep) that the BOGO was available and was given instructions on how to redeem it (yourdigitalrebatecenter.com). When I attempted to claim the BOGO there was a problem....no promotional match found. I called Best Buy for some help and after some research was informed that the BOGO had in fact expired on 08/19/16....the date of purchase. Had I been correctly informed of the expiration date, I easily would have made the purchase ahead of the deadline. The advice I received was to send an email to Verizon Wireless requesting that they reconsider the BOGO. This should not be my responsibility to resolve. Best Buy Seekonk clearly made an error, which they acknowledge, that if unresolved will cost me $750.....totally unacceptable. The offer to comp me the accessories I purchased (2 screen protectors) is borderline offensive. And, to expect me to resolve this issue is infuriating. Best Buy customer service needs to support me in this by admitting their error, honoring the BOGO I was repeatedly promised was available, and fighting Verizon Wireless on their own time for not clearly indicating an expiration date on the flyer. Very unhappy. I just saw a back to school commercial that shows bullying. A kid is studying in his room and another person comes in and shoves the note book on the floor and says the kid should be using a computer. Please try to make the commercial less bully-ish. Why not a comparison and have the kid with the book ask about the computer?